The round marked the official launch of the 2014 women’s zonal competition. 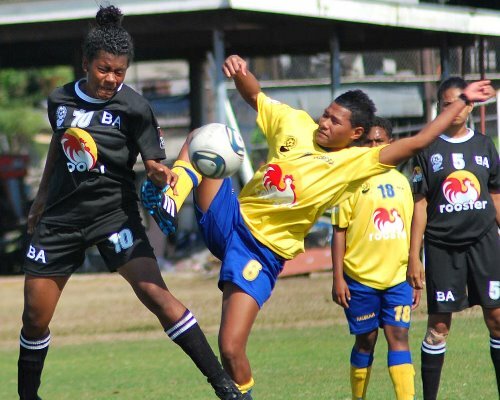 Ba beat Tavua 6-0 and later Nadroga 8-0 to top the Western division. Nadi remains another undefeated side after claiming victories over Tavua /Rakiraki and Lautoka. Coordinator Charlene Lokington says the arrival of the football equipment’s has boosted the participating teams. “On behalf of the women footballers in Fiji, i would like to thank FIFA, ADIDAS, Mayi Cruz Blanco, FIFA Women Football Development Manager and Nicola Demaine, OFC Women Football Director for making this possible,” she said. The Southern division competition will be launched this Saturday at the Fiji FA headquarters ground in Vatuwaqa.